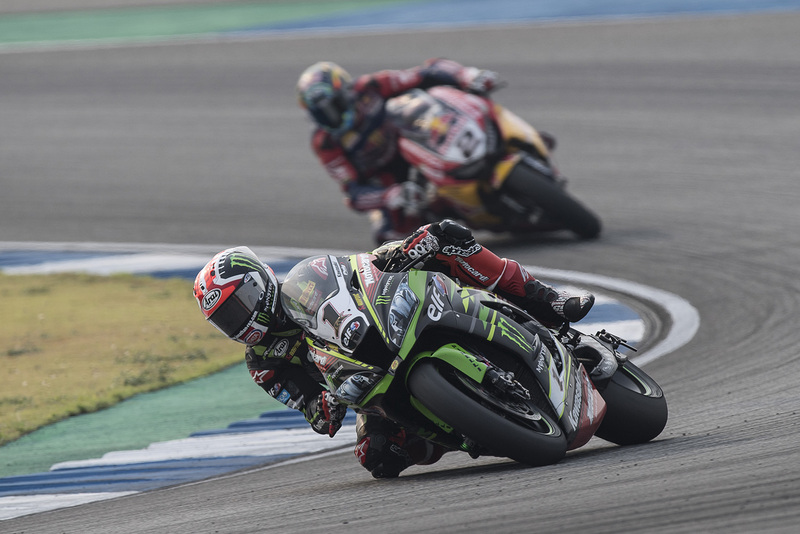 Jonathan Rea moved into the overall lead of the FIM Superbike World Championship after a challenging second race in hot conditions at the Chang International Circuit, following up his opening day win with a battling fourth place despite experiencing issues under braking. Starting from the third row today, race one winner Rea had to fight hard from the start. He occasionally ran on or lost track position as he experienced braking issues at what was already the most challenging circuit on the calendar in this regard. Summoning up all his determination and skills, Rea managed to maintain a high pace and even overtake a rider in the final three laps to score fourth place. Even being limited in his ambitions today, Rea leaves the Chang International Circuit with a two point championship lead after four races. Jonathan has 69 points, with former championship leader Marco Melandri (Ducati) on 67.